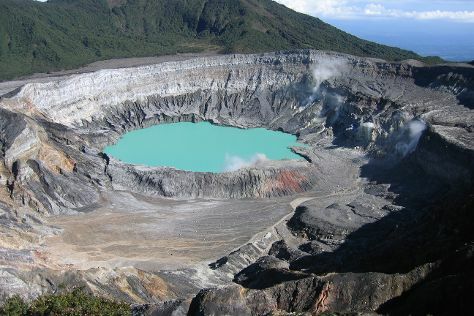 Spend the 24th (Wed) among the fascinating landscape of Arenal Volcano (Volcan Arenal). 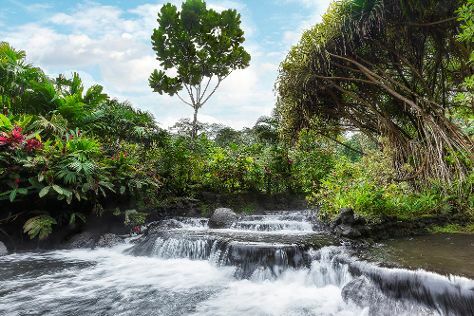 The adventure continues: relax and rejuvenate at Tabacon Hot Springs, hike along Arenal Natura Ecological Park, witness a stunning natural landmark at Baldi Hot Springs, and let the river carry you with a rafting and tubing tour. For reviews, more things to do, ratings, and tourist information, go to the La Fortuna de San Carlos day trip planning website . Newark, USA to La Fortuna de San Carlos is an approximately 11-hour flight. You'll gain 1 hour traveling from Newark to La Fortuna de San Carlos due to the time zone difference. Wrap up your sightseeing on the 26th (Fri) early enough to travel to Vara Blanca. Kick off your visit on the 26th (Fri): view the masterpieces at Souvenir Museum and then get impressive views of Poas Volcano. On your second day here, identify plant and animal life at La Paz Waterfall Gardens. Before you visit Vara Blanca, use our trip planner to discover what you can do and see there. Do a combination of taxi and flight from La Fortuna de San Carlos to Vara Blanca in 2 hours. Alternatively, you can drive; or do a combination of bus and taxi. In January, daily temperatures in Vara Blanca can reach 83°F, while at night they dip to 65°F. On the 27th (Sat), wrap the sightseeing up by early afternoon so you can travel back home.